Food. Philosophy. And the Power of Sunny Side Up. We have a running joke in my family. The joke is that I have traveled next to nowhere. And the couple of places I have been, I have been repeatedly. I get so frustrated when we are planning family vacations and my husband suggests a place he wants to go, that he has always dream of going, and it happens to be one of the three places I have been. Well, I have been one place that is exotic and exciting. It required immunizations and a visa! In 2005 my husband and I traveled to Brazil. It was amazing! The Strong Man lived in Rio de Janeiro for two years on an LDS mission, so it seemed like a good place to go on an adventure. Not only did we go to Rio, but we traveled around the entire country. One of my favorite parts of Brazil was the food, specifically the fruit and the bread. There were delicious fruits and fruit juices everywhere. Sucos de abacaxi (pineapple juice), Sucos de goiaba (guava juice), sucos de caju (the fruit hooked to the cashew nut), mamao (papaya), mango (you probably can figure that one out,) and many more. They had a smoothie type of drink called vitamina abacate which was made of avocados, I’m trying to replicate that recipe, but apparently their avocados are different than ours. Then they had all sorts of delicious rolls. One of my very favorites was pao de queijo (pronounced pow gi kay-jew.) It translates to cheese bread. I made the goal to recreate these at home while I was still in Brazil. It was a little tricky because in Brazil I was told they were made with manioc root flour. I’d never heard of that. I was getting ready to do something drastic like get a license to import some. Then with a little research I discovered that manioc is another name for cassava. Which, it turns out is not helpful either. Then I discovered that they were both names for tapioca. Bingo! I found some tapioca flour, which is much easier to find now that gluten sensitivities and intolerances are more widespread, and I went to town. I tried many recipes. But this one is my favorite. 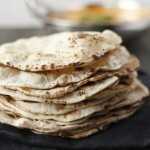 Using tapioca flour means that this recipe is gluten free. Hip Hip Hooray! If you can’t find tapioca flour in your grocery store, or if it is insanely expensive, which seems to be the case a lot with gluten free foods, then you can buy Tapioca Flour here. 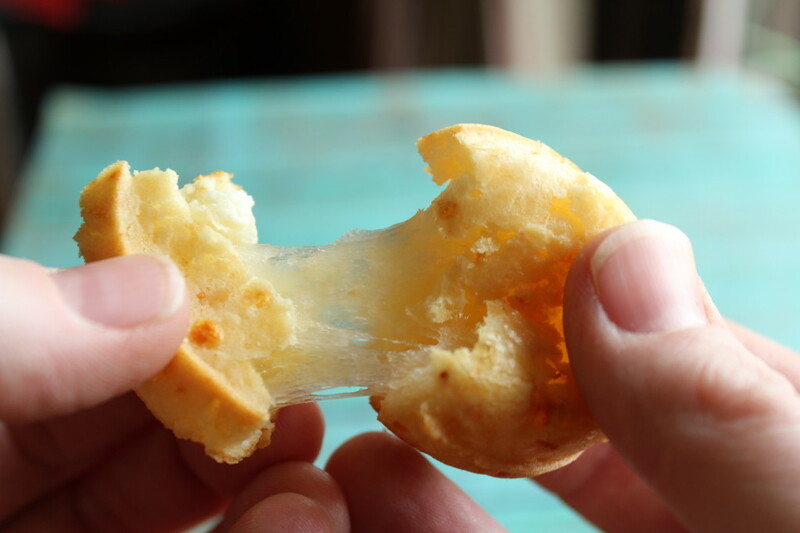 These little cheese breads have a great texture and a nice salty flavor. They are a fun and usually new experience for most people. The tapioca flour makes them chewy. They pull apart like they are full of cheesy goodness. Which is partly because they are full of cheese and partly because of the properties of tapioca, manioc or cassava starch. You can really use whatever cheese you have on hand. I will very often, just see what is in the fridge and grate whatever I have. But it is good to have a salty cheese and a softer cheese included in there. While everybody is posting Cinco De Mayo recipes, I’m doing my duty to get you ready for the next Olympic games and the next World Cup in Rio, baby! Get your Brazil on and try some paõ de queijo today. Bake for 15-20 minutes until slightly browned. Makes approximately 12 full sized or 24 mini breads. I’ve had this recipe and I can second that it is delicious! #1- I’m pretty sad that you never made this amazing cheese bread for us. #2- in your Battle of family vacations I want to know who wanted to come to DC to visit us and who wanted to stay home. Totally not kidding I really want to know! We both wanted to come to DC. However, it is one of the three places I have already been. That has been cool because there is so much to see there, so I haven’t seen the same things there any of the times. (Especially the Russian spies.) 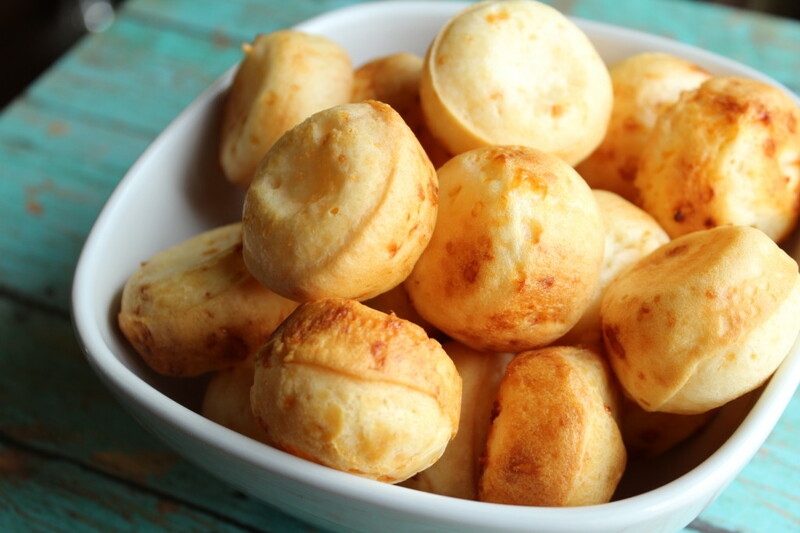 Next time we come, I’ll make some pao de queijo for you! 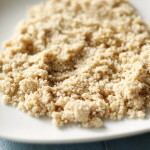 Question for the zany guru of food: Is tapioca starch the same thing as tapioca flour? Yes, both the same. Not sure why it is called two different things. Great minds DO think alike! Thanks for letting me know you posted about these, too. They really are meant to be shared with the world. I have at least one. I’ll have to share it! My brazilian friend lives in Germany and when she was there last month she made these. Gave me the recipe but it has yougurt listed. It’s the only recipe I have seen for these that have yogurt. Have you heard of using yogurt with these? I haven’t heard of using yogurt, but I’m sure it would be totally great. I’d love to hear how they turn out. 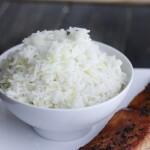 Hey, I had these in Brazil and totally loved them – but I didm;t bother look for the recipe until now as thought they would be complicated to make! But I’m so glad that the recipe is so easy so will give it a go! Also, I am based in the UK and have not come across the Tapioca flour, can cassava flour be used as a substitute? Yep cassava flour is just another name for tapioca flour. So go for it! P.S. Pao has the accent over the a ….. Pão. I love cheese bread! Thanks Anita, for the recipe! We have only ever made it from the bag of mix you can buy at international stores. Thanks again! Eek! Thanks for the correction. It was really hard to get that accent to show up, and then I put it on the wrong letter. Dang! And I’d love any recipes you have! 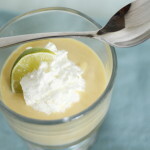 My husband loves passionfruit mousse, but I have a hard time finding passion fruit juice around here. Go the the Pequanita on State Street in SLC. They have all kinds of good stuff for Brazilian food. We're two busy sisters who know that when life gets hectic, the best things might just pass you by. That's why we make a conscious effort to savor the delicious things in life. Join us as we put "enjoy today" at the top of our to-do list! Join us on the Sunny Side – Life Tastes Better Here!